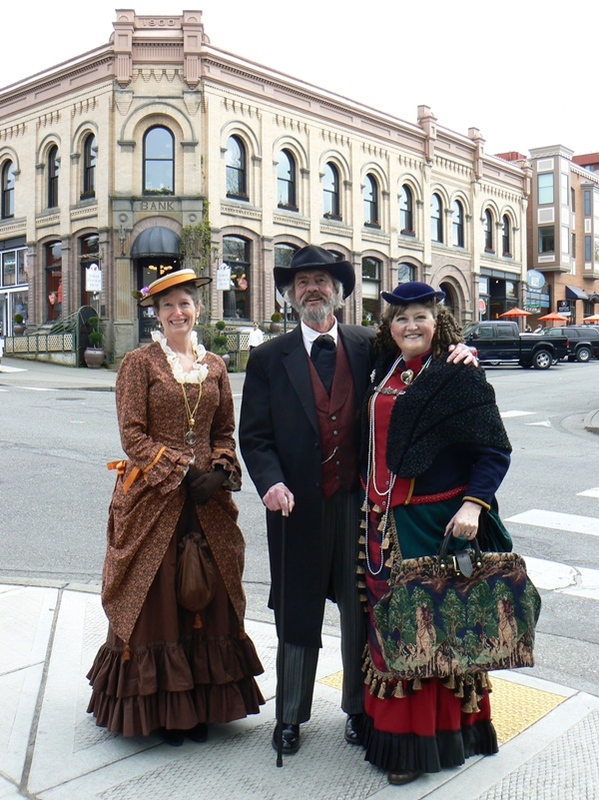 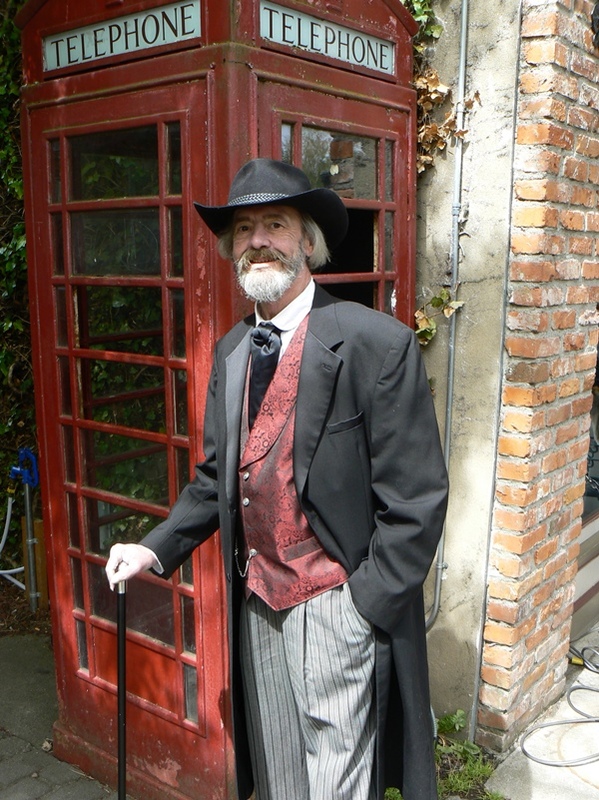 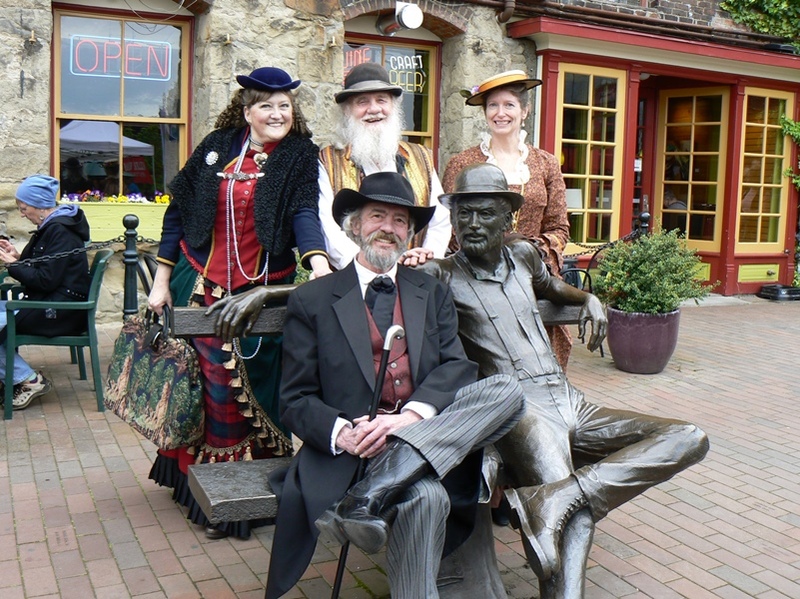 Dressed in Victorian finery, the historical costumers of Somewhere in Time, Unlimited drove north of Seattle to the town of Fairhaven for a bit of fun. 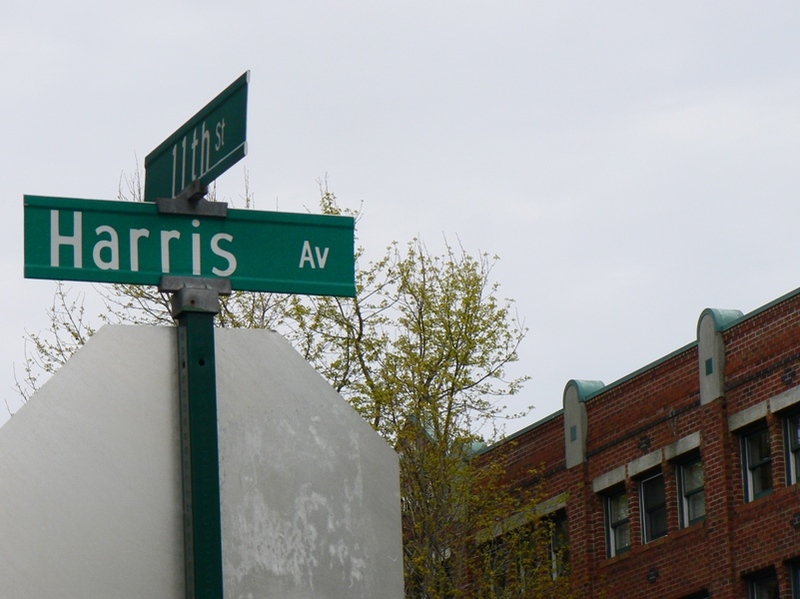 History says that approximately 1854, “Dan Harris” worked his way north to the Bellingham Bay at the ripe age of 21. 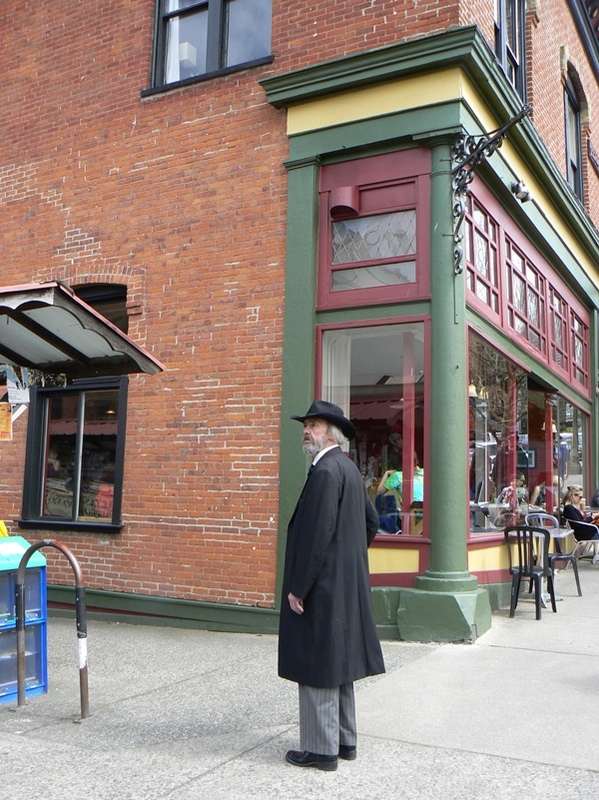 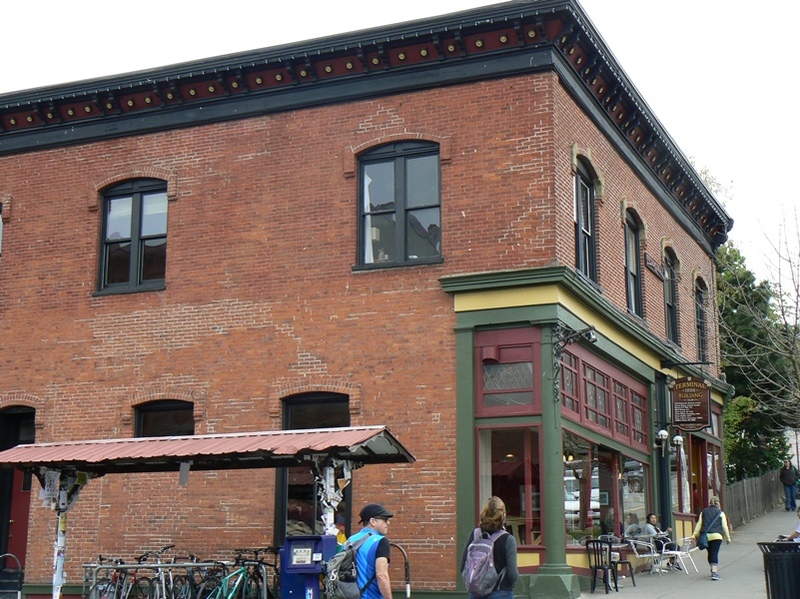 He is a legend as a smuggler, a land owner, a homesteader, hotelier, and founded the town/area of Fairhaven in 1883. 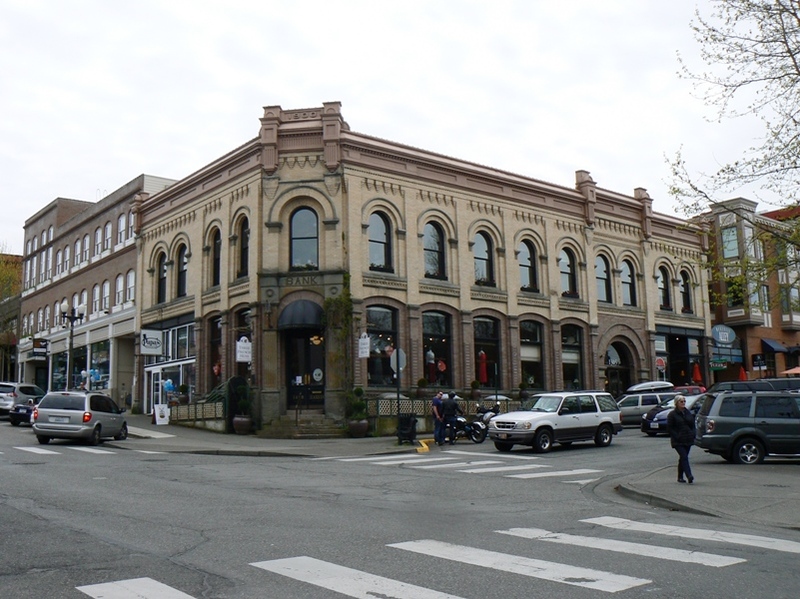 He was perceived as a shrewd businessman who once rolled his upright piano right out of the hotel, down the street and into the bay when the new owner of the hotel, wouldn’t pay additionally for the piano. 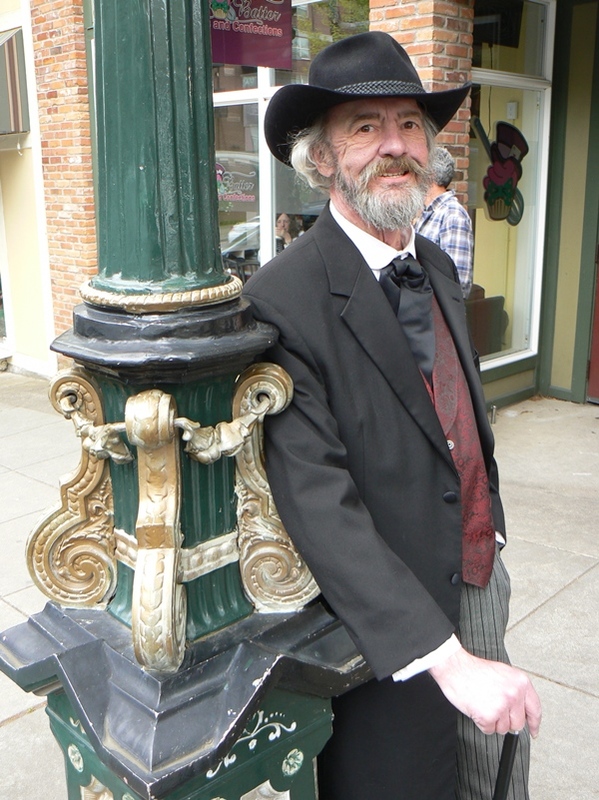 People started calling him “Dirty Dan” due to his penchant for infrequent bathing. 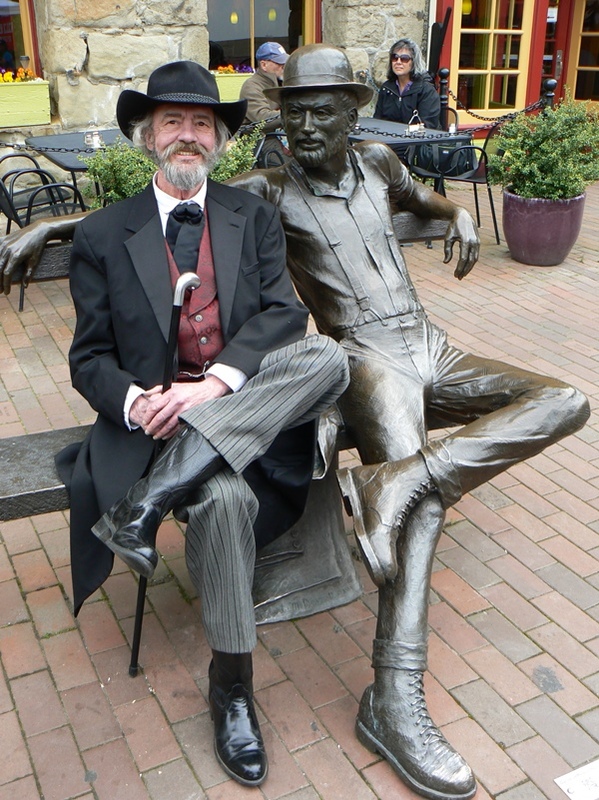 One of his footnotes in history was his ability to row a boat between Bellingham Bay and Victoria, British Columbia Canada. 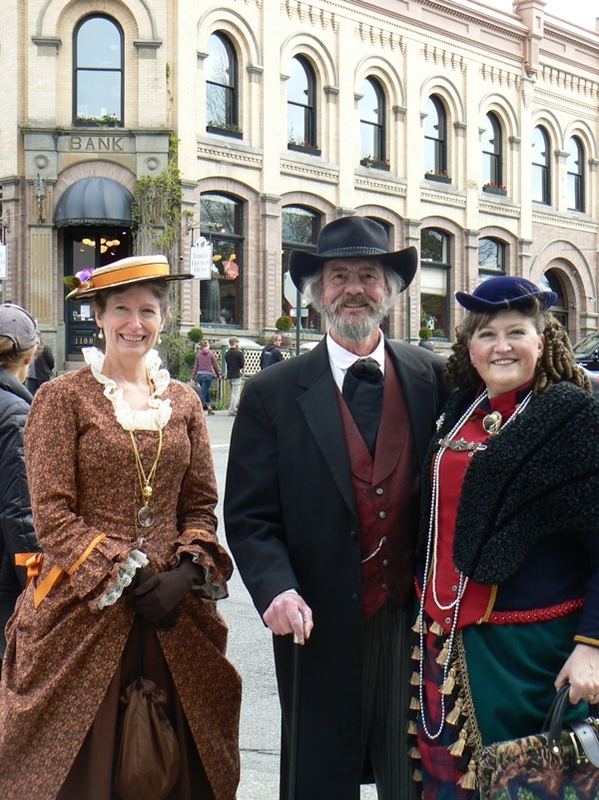 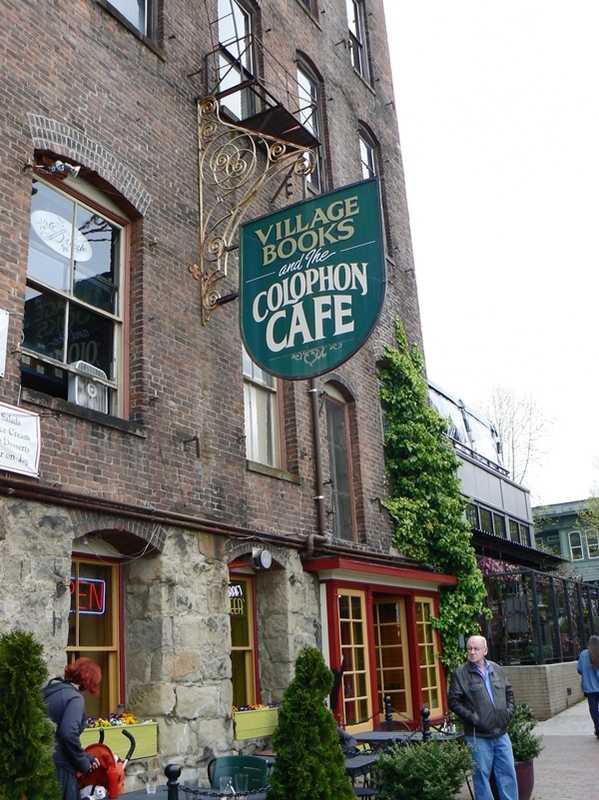 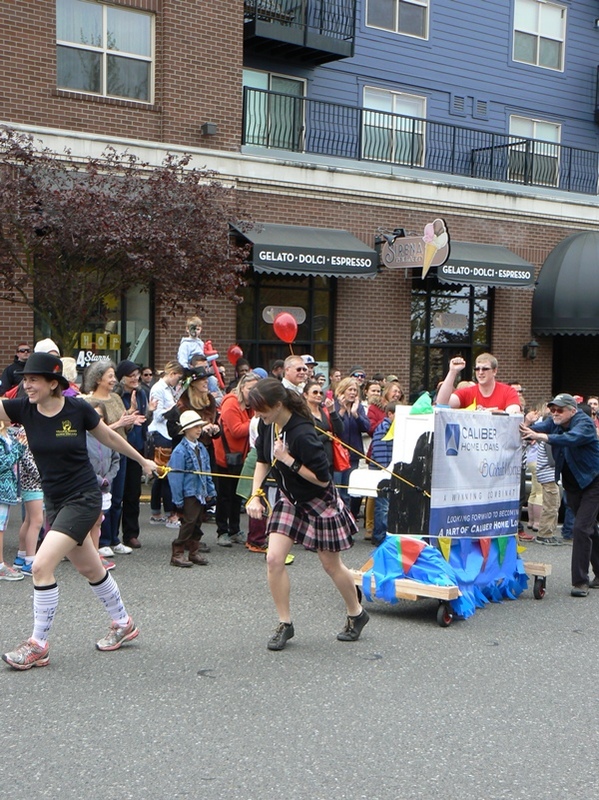 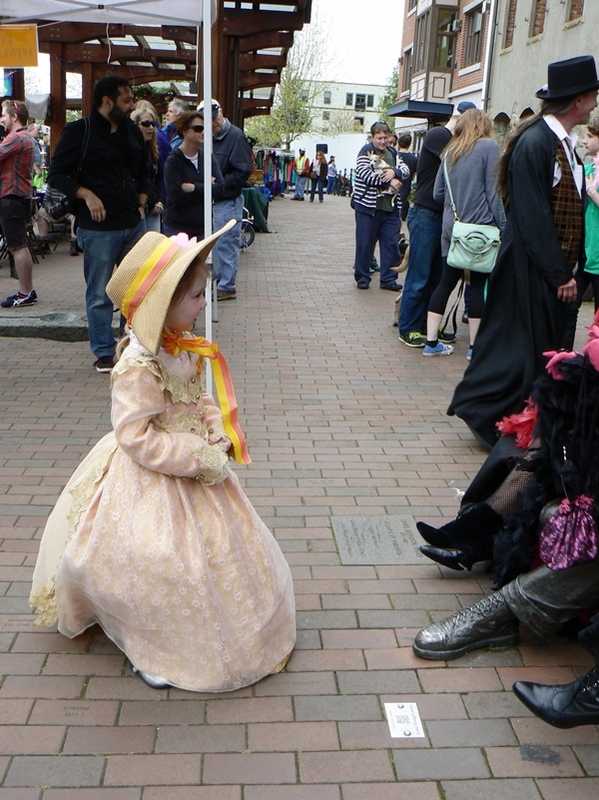 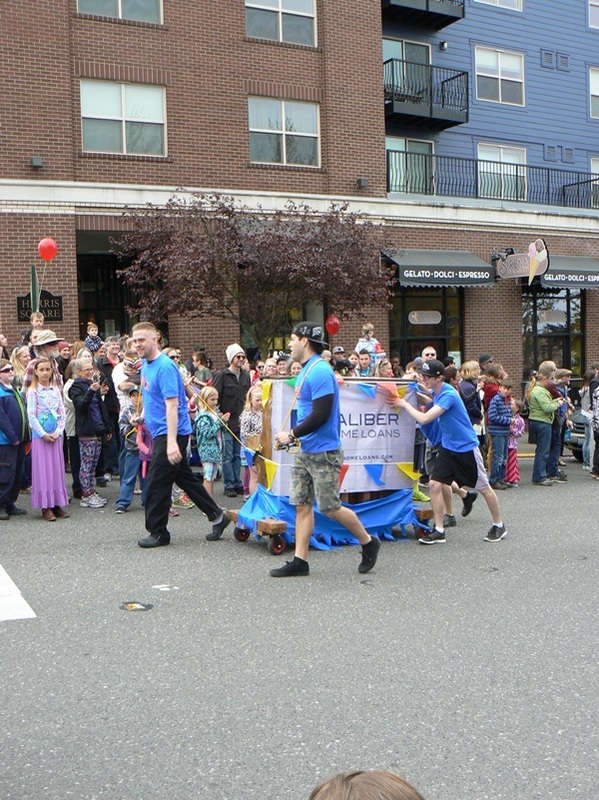 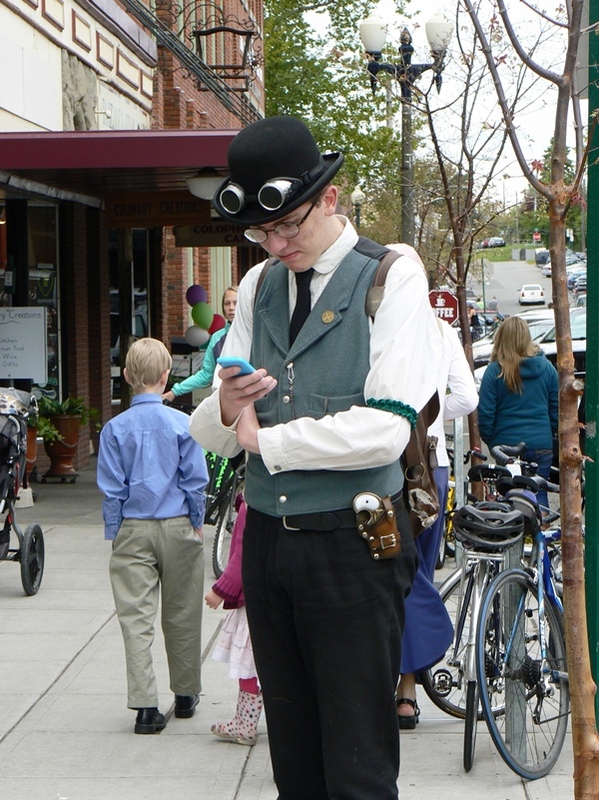 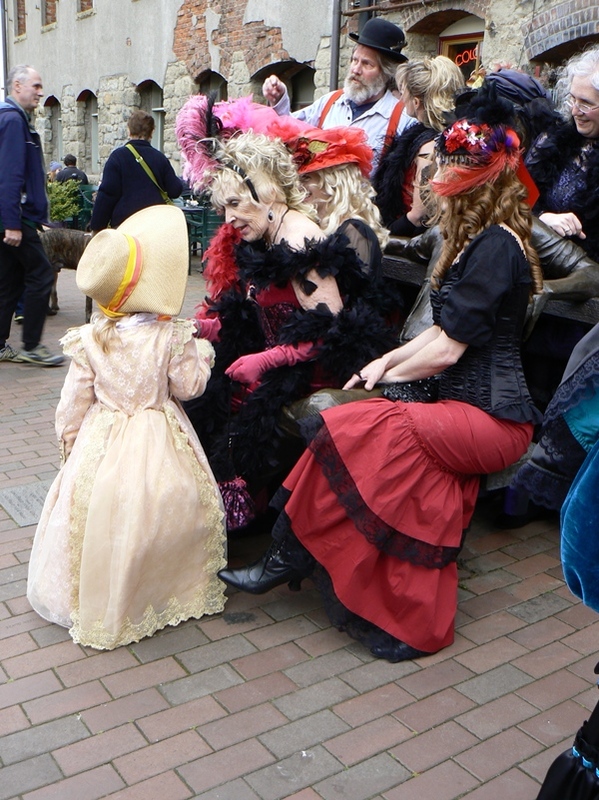 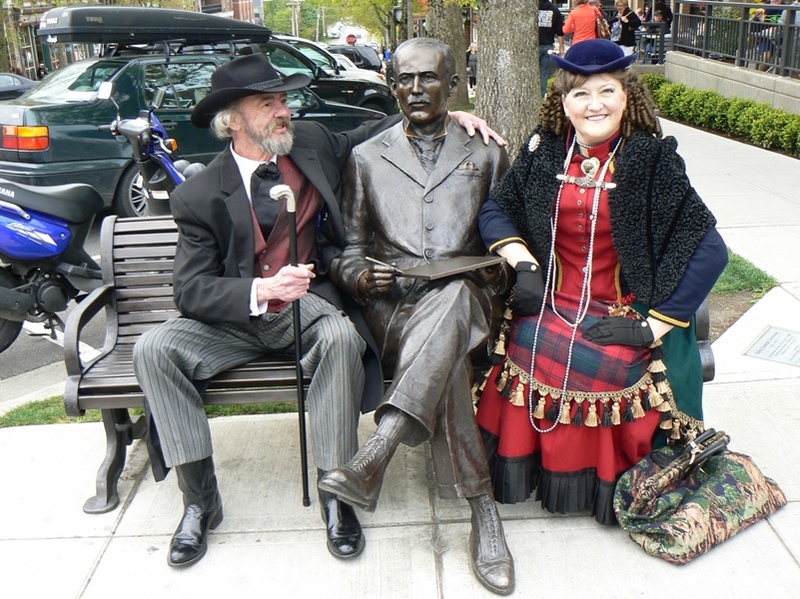 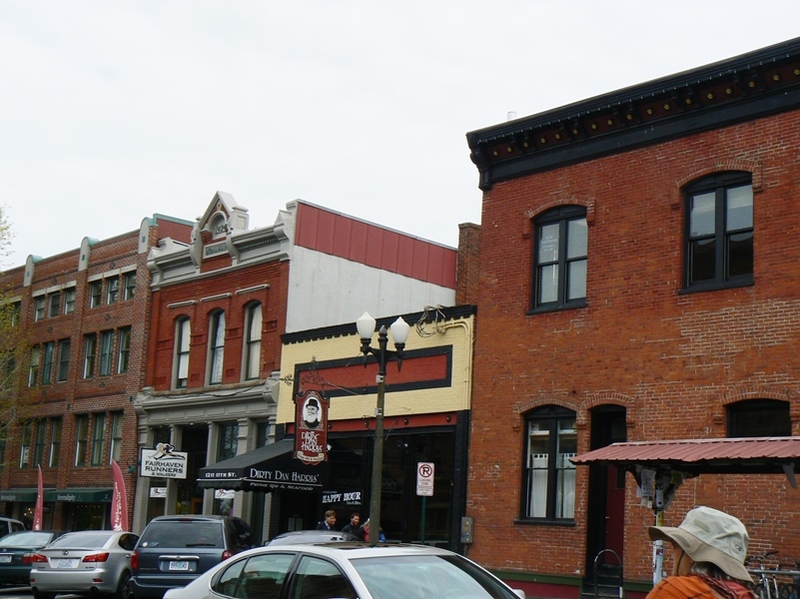 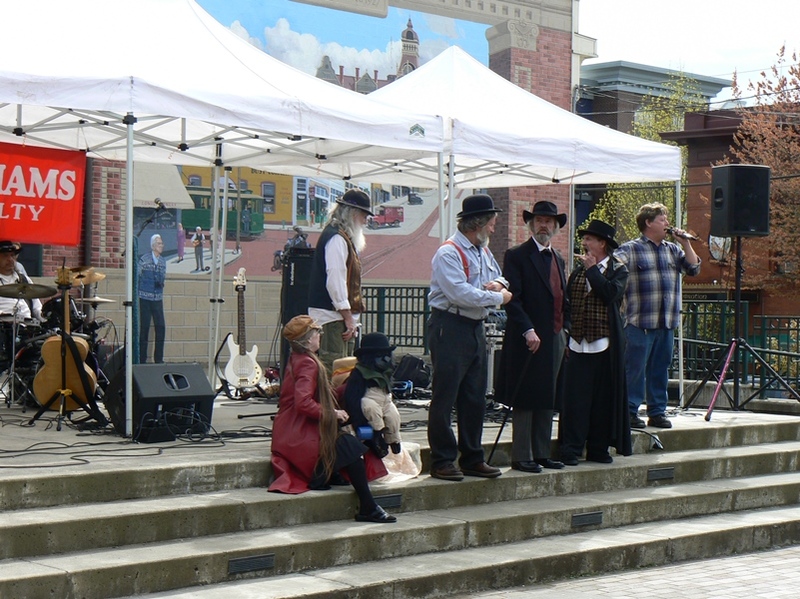 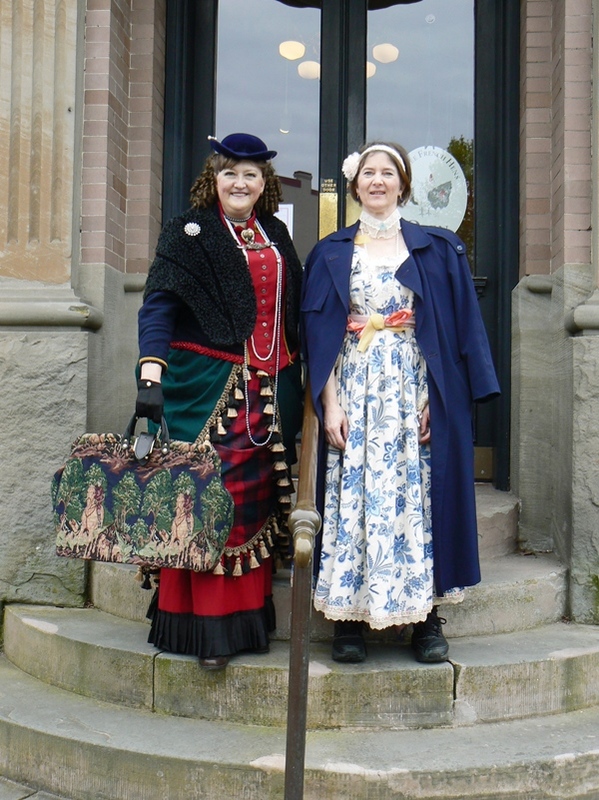 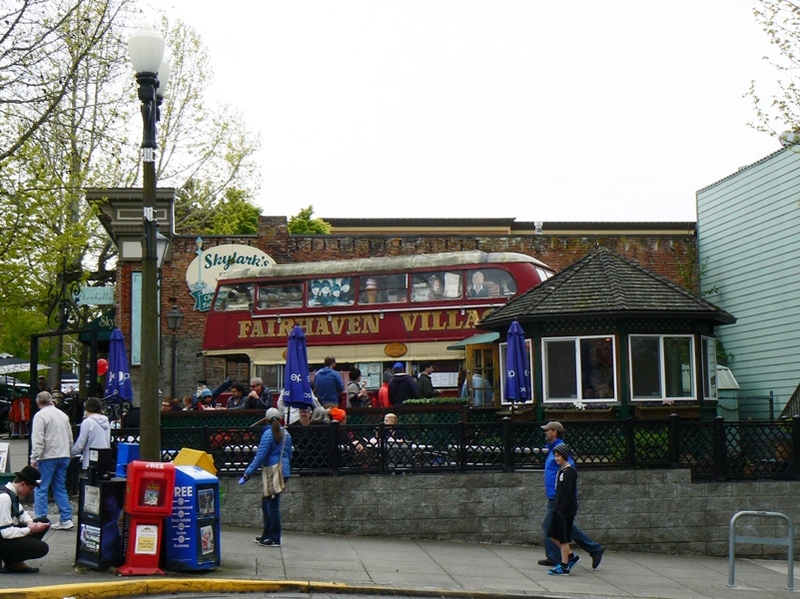 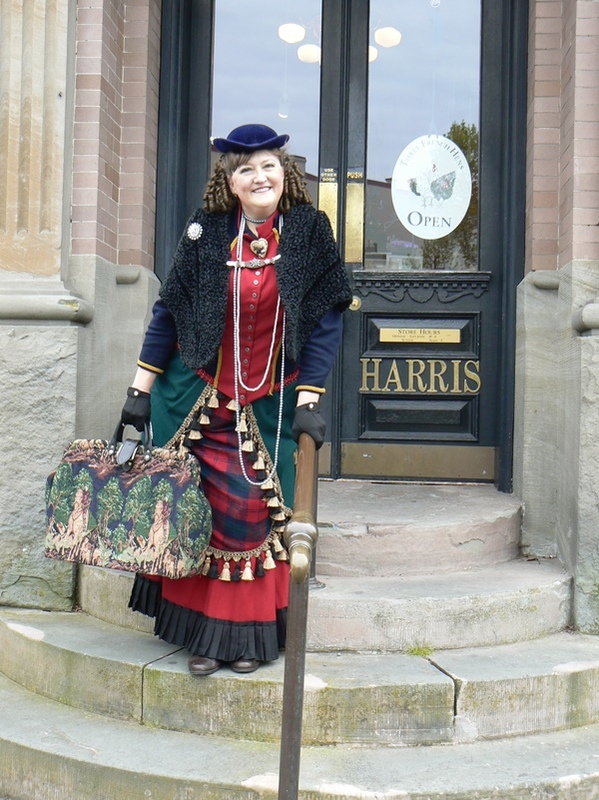 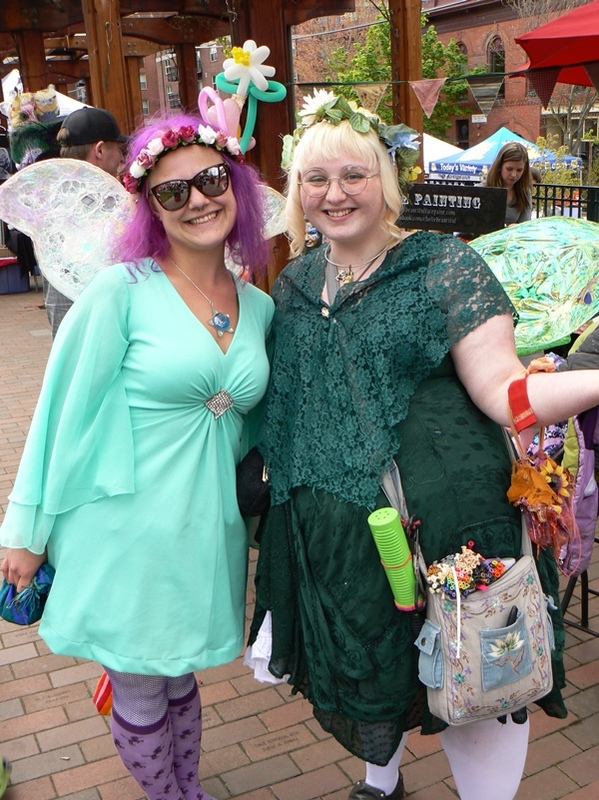 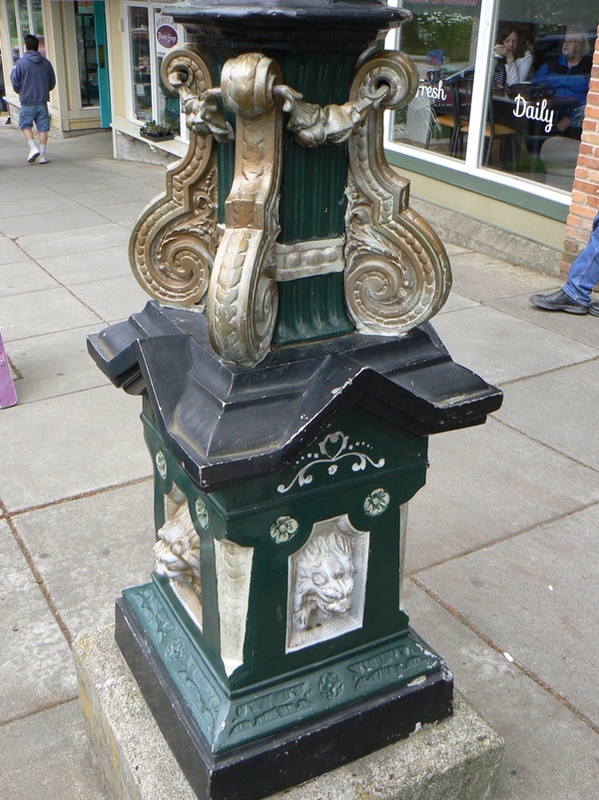 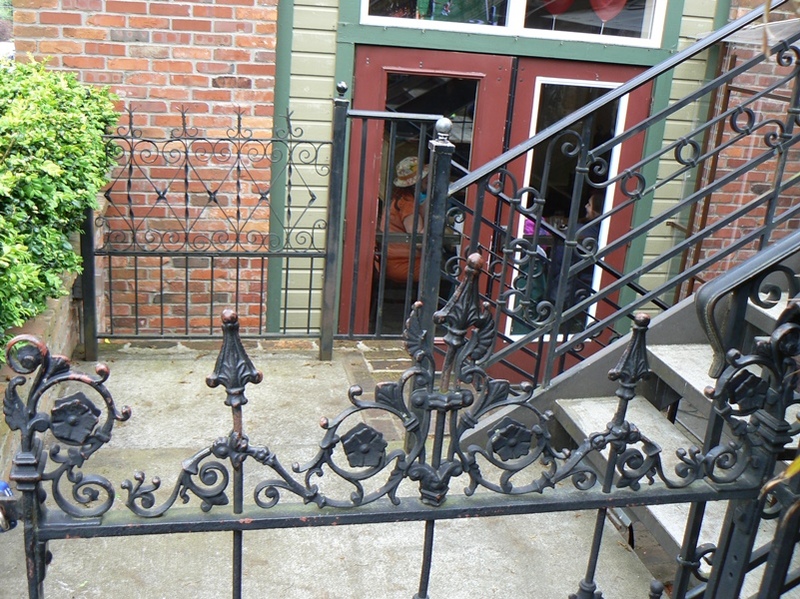 On this day in April, several historical costuming friends decided to choose Fairhaven, WA as the gathering place to meet up with other club friends who reside further north toward Canada. 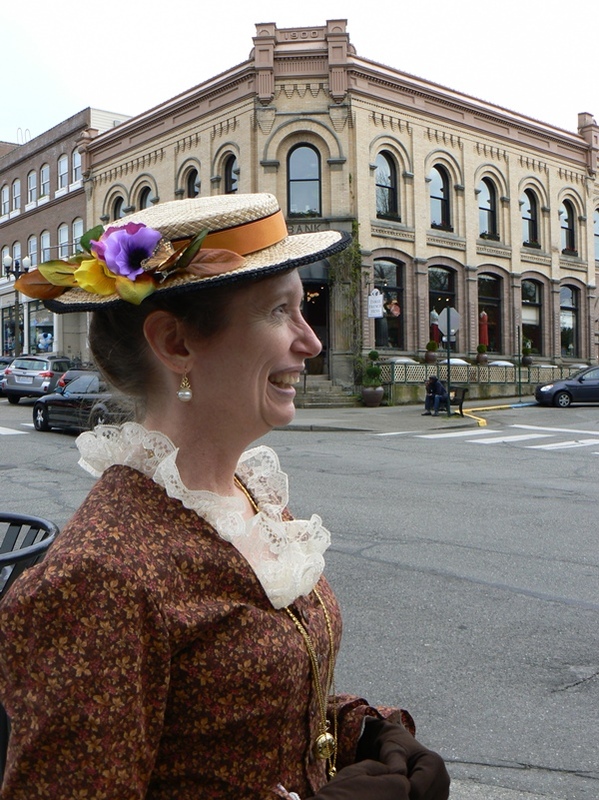 It seemed like a logical place to wear Victorian bustle and/or cowboy gear. 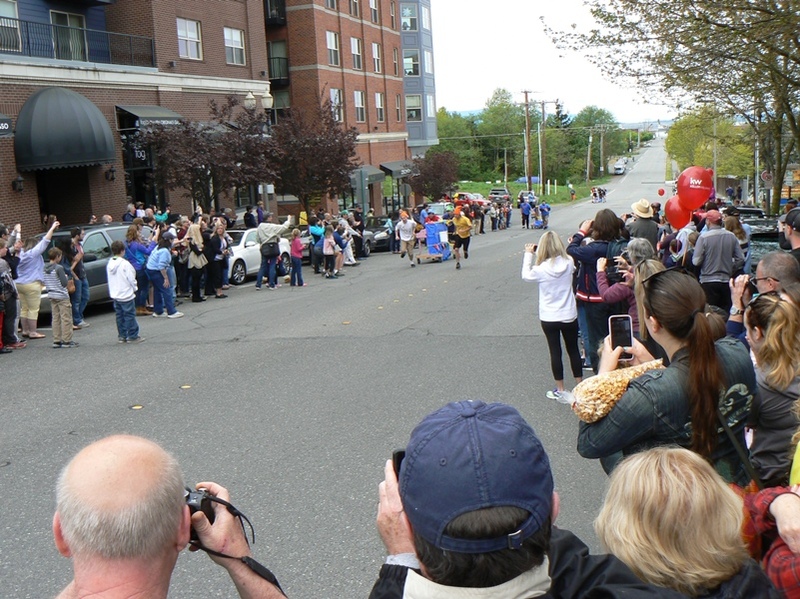 We began the day by watching the piano race where team participants started off at a little park area at the bottom of a hill. 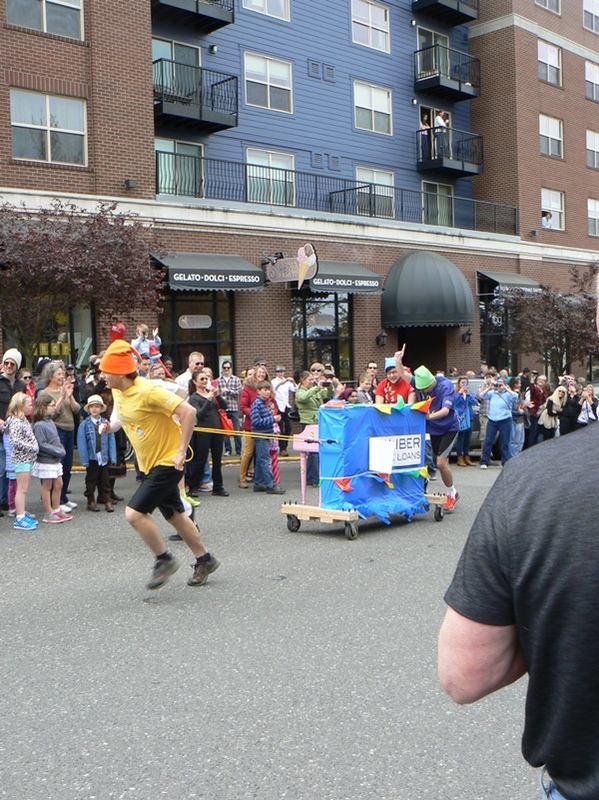 They would gather speed and push the heavy piano up the slope. 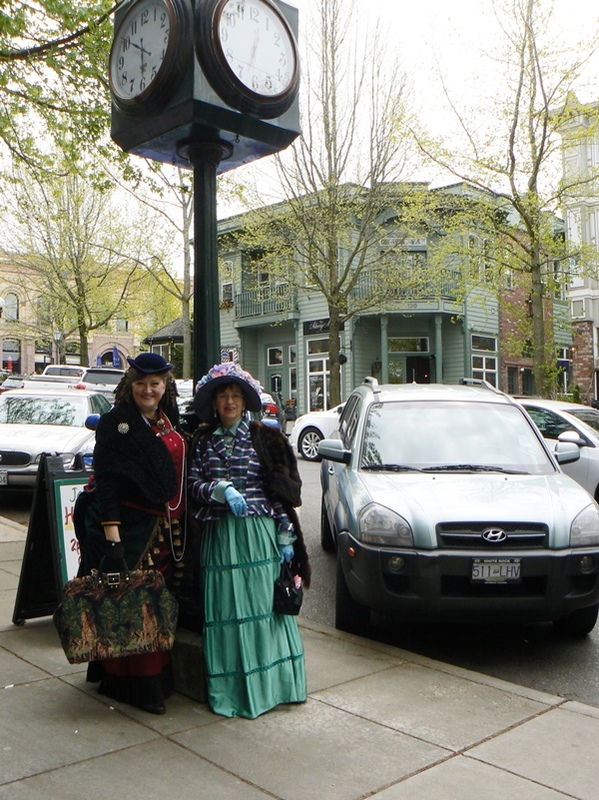 After this fun, we began our shopping (of course) in earnest, followed next by a picnic meal and then participating in an afternoon fashion contest. 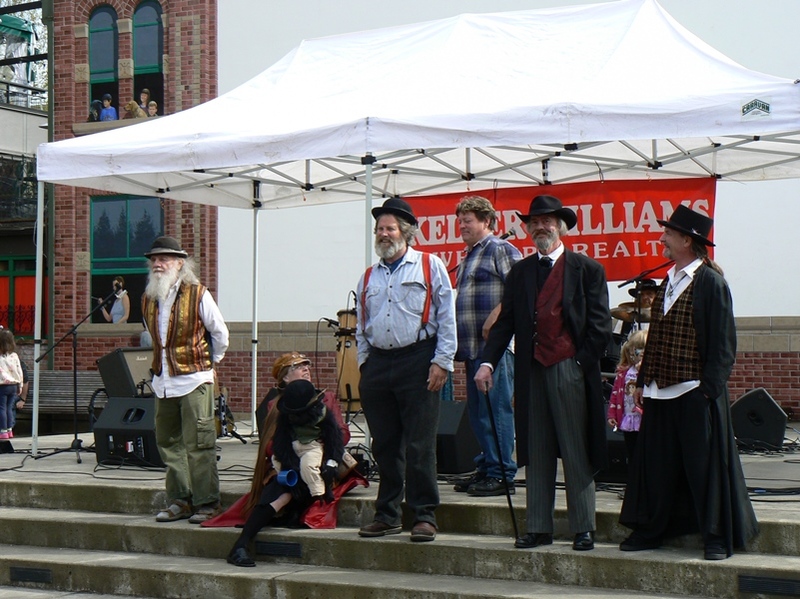 The gentlemen lined up on stage, comparing notes of how they would introduce themselves to the seated audience of spectators. 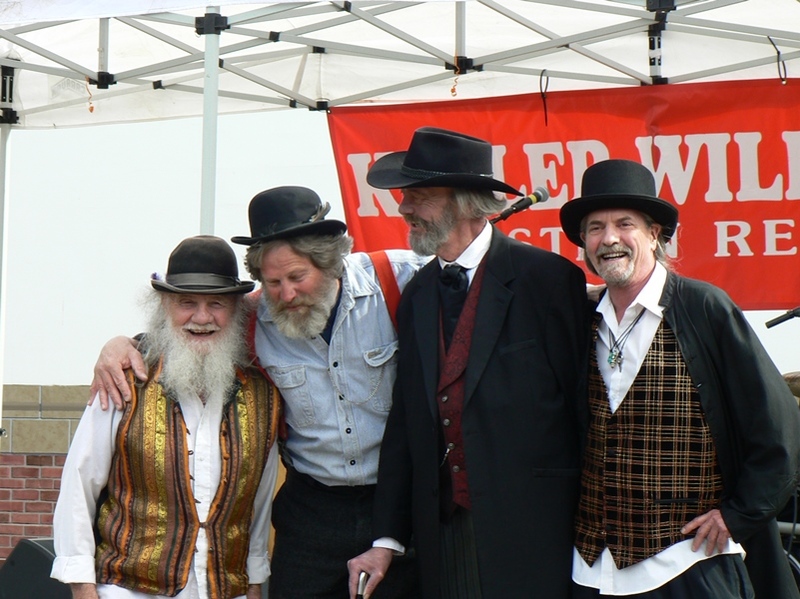 We noticed there was a lot of camaraderie on stage, as if they were sharing a private joke. 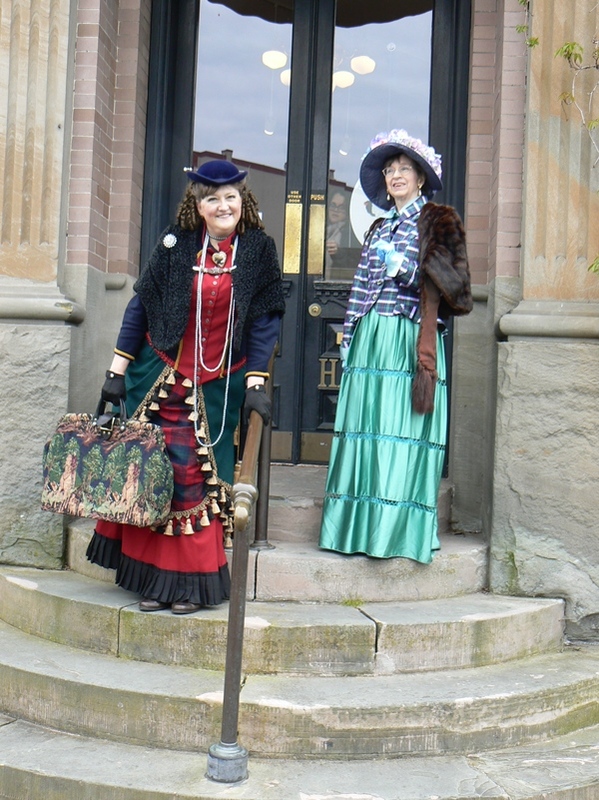 Next came the line up of ladies – come in classic day wear, while other wore more “ladies of the evening” attire. 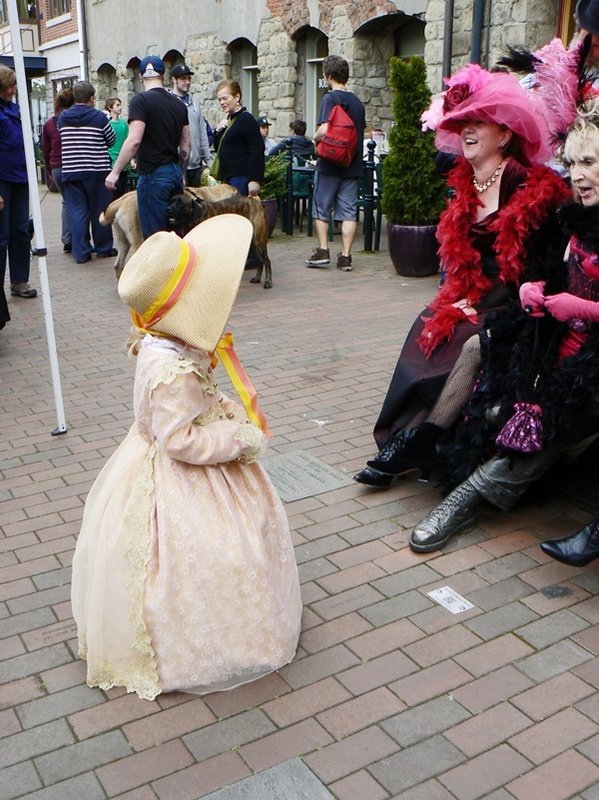 Of all the ladies in beautiful attire on display, it was a tiny child that took First Prize! 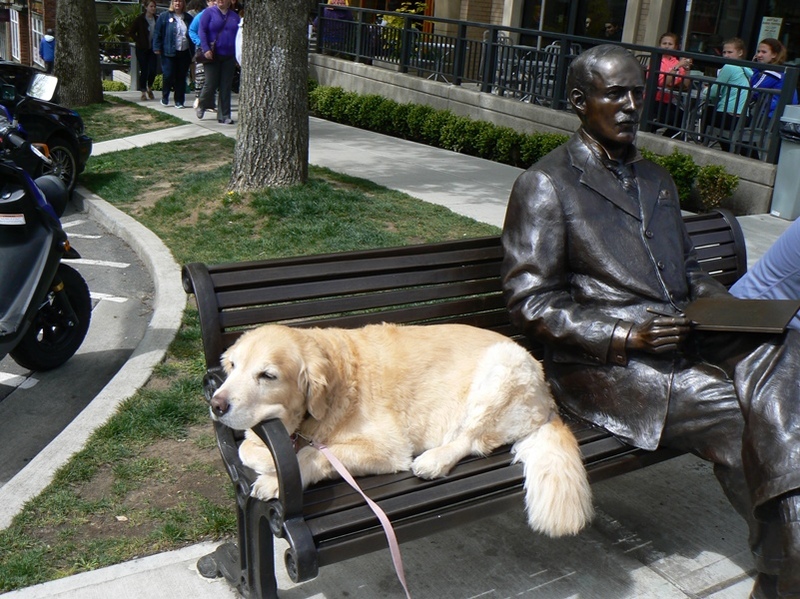 Below is a collection of our images of the day. 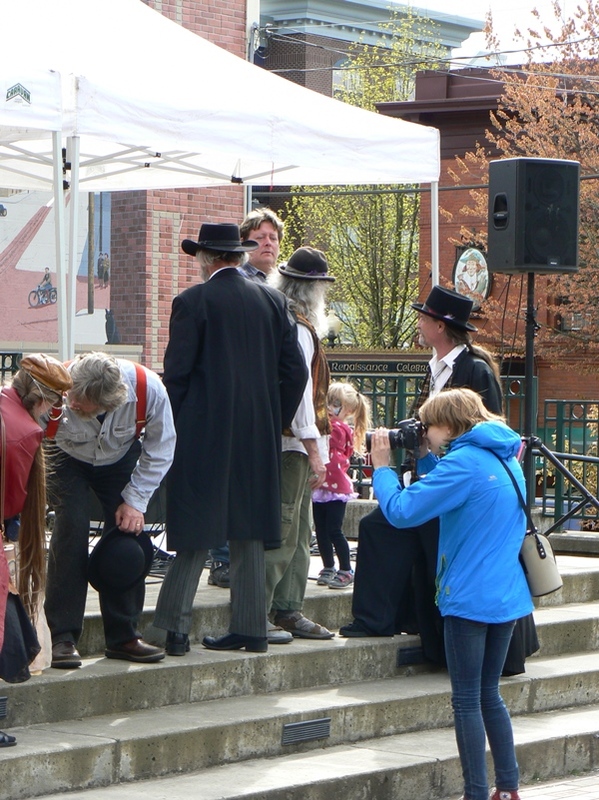 We hope you enjoy viewing them as much as we enjoyed capturing the essence of “Dirty Dan Days” in Fairhaven. 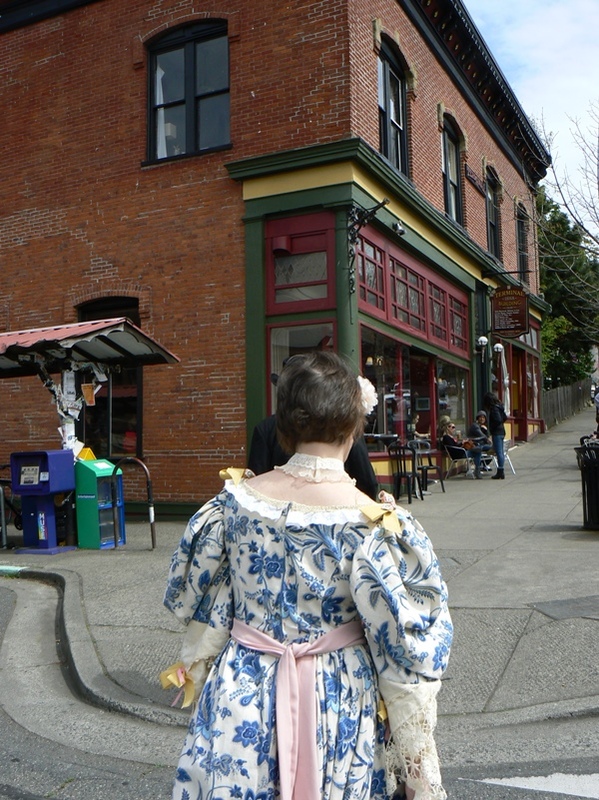 Click a photo to view a description of the photo. 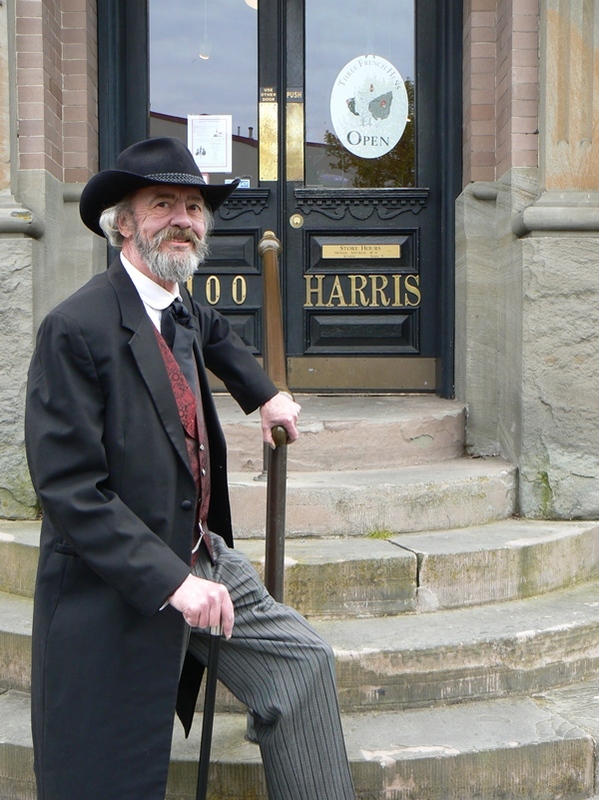 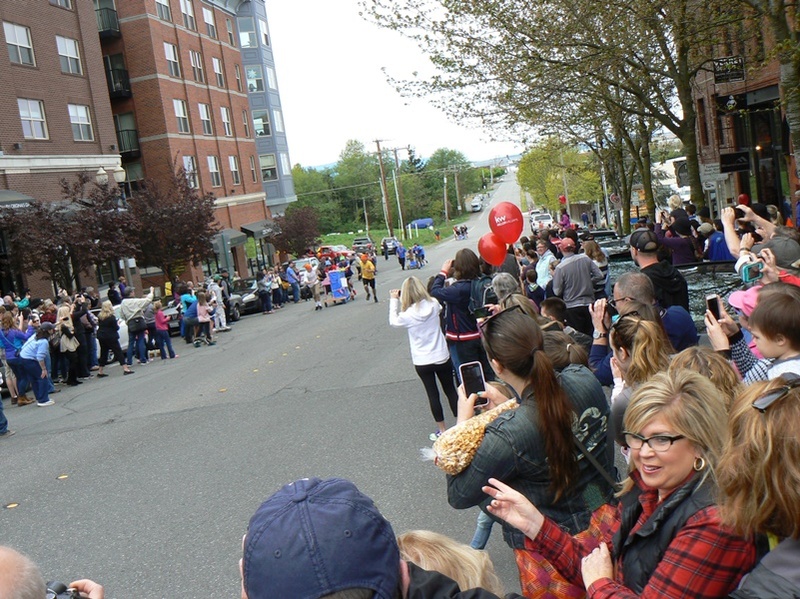 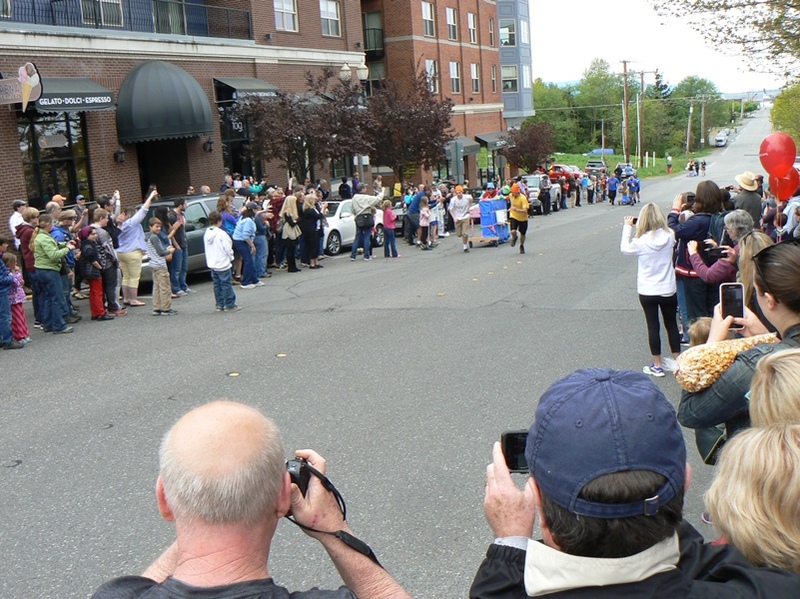 The day celebrating "Dirty Dan Harris" began with piano races UP the hill to the hotel. 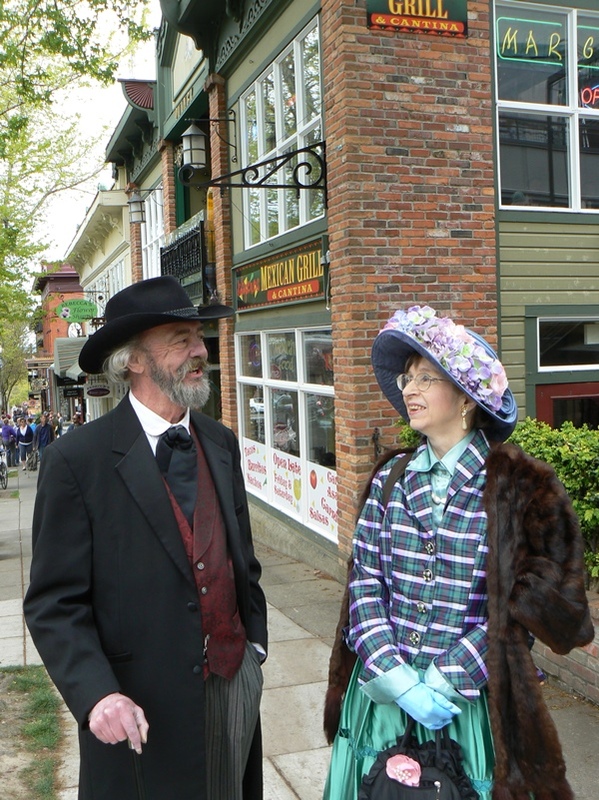 Sir Harry and the Countess share a joke as we strolled the street. 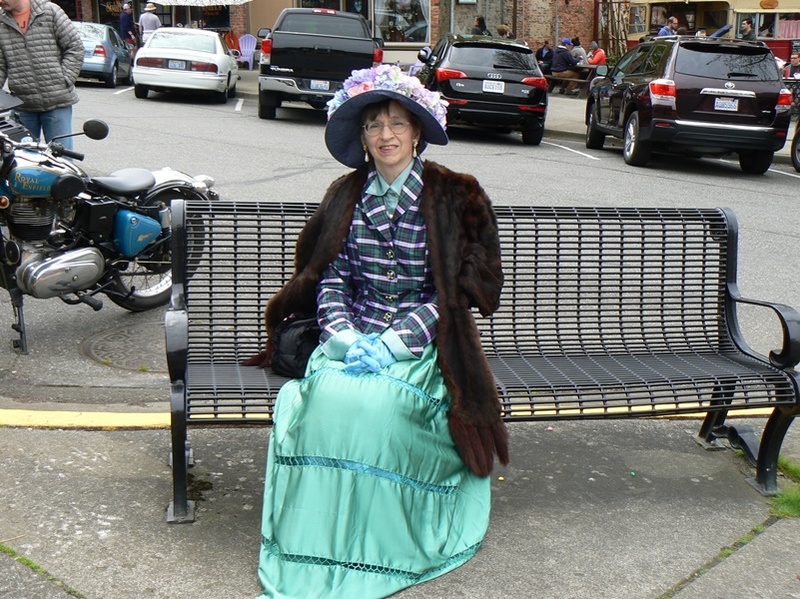 The Countess sits down for a brief rest on a conveniently located bench. 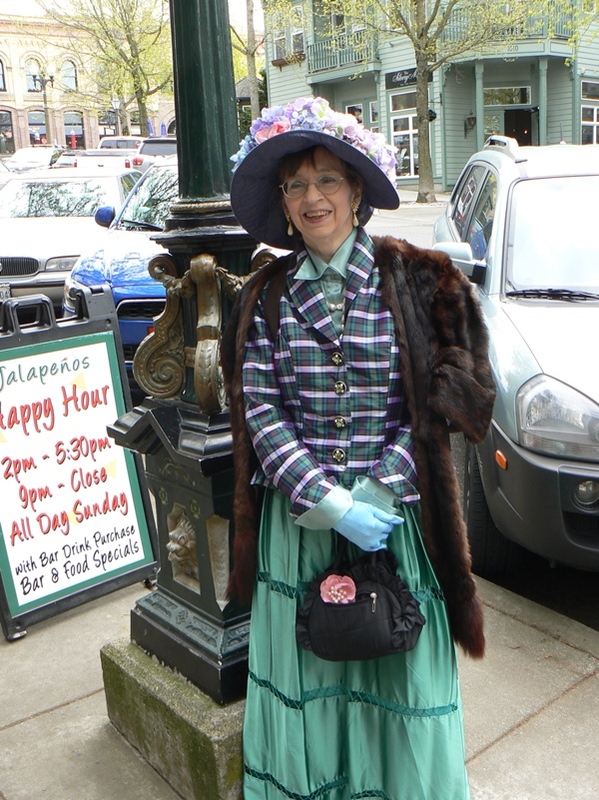 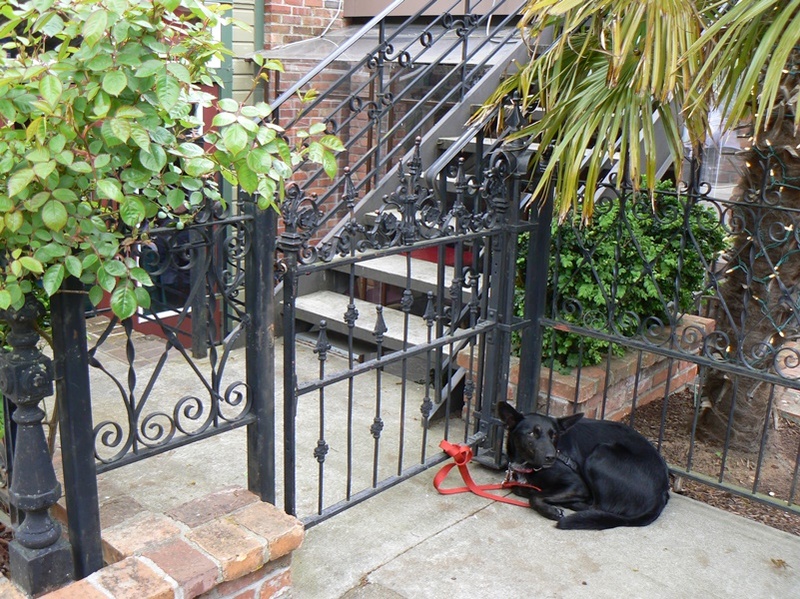 Once the dog moved along, Sir Harry & Lady V sat with an "influential member of Fairhaven" for a phot! 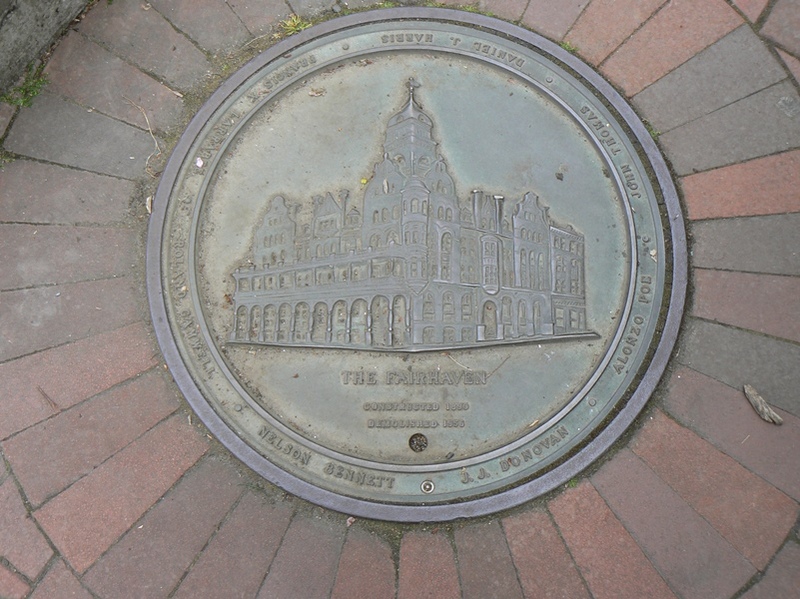 Town's "marker" at the corner of the square. 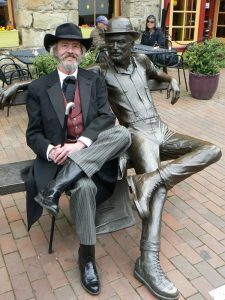 Why are YOU Dirty Dan? 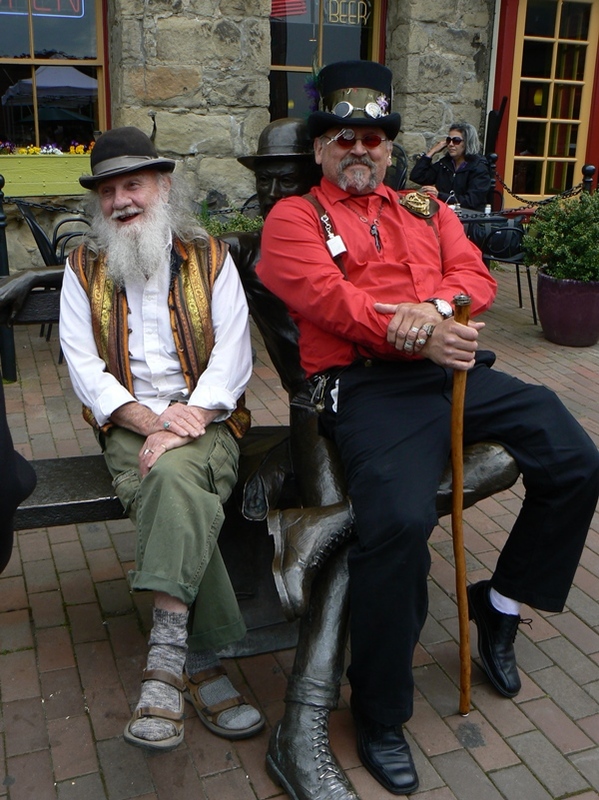 Sir Harry of Essex & "Dans"
It was a wonderful day in the little town of Fairhaven, WA. 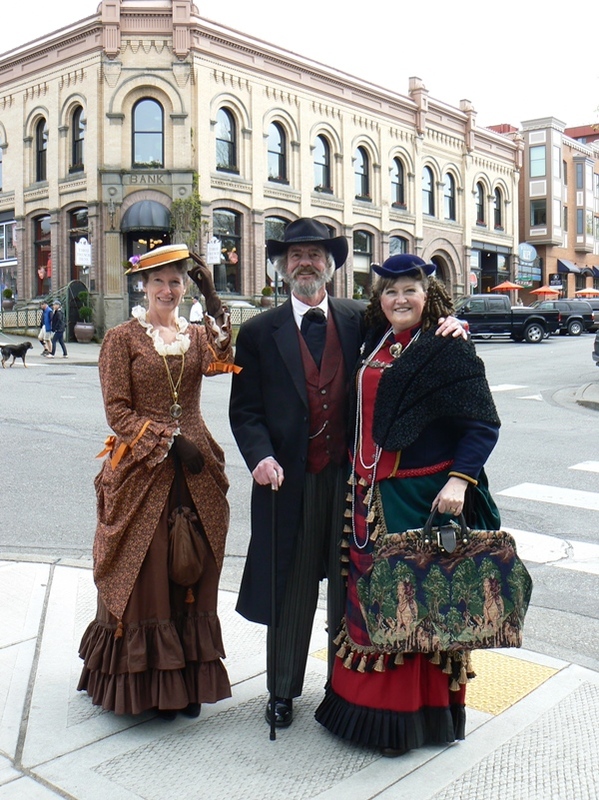 Thank you to everyone for a Victorian experience in the company of good friends! 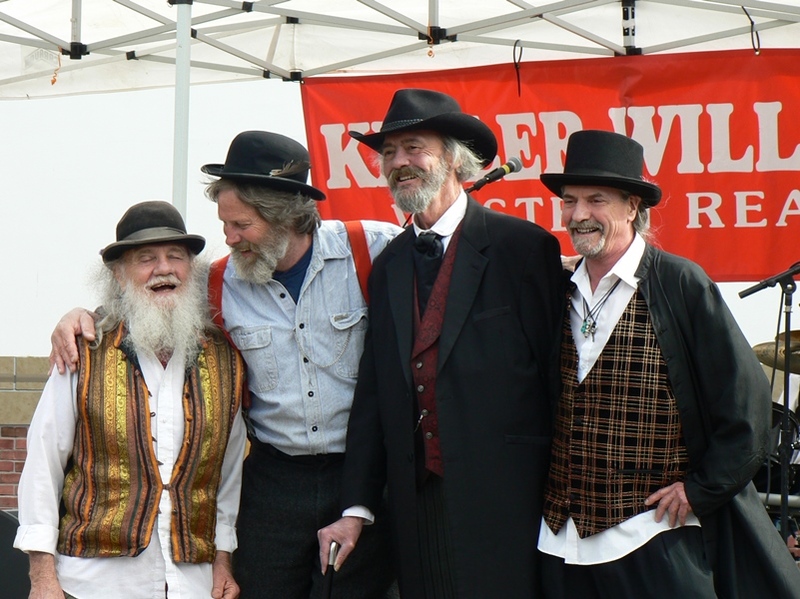 us in the future for another gathering!